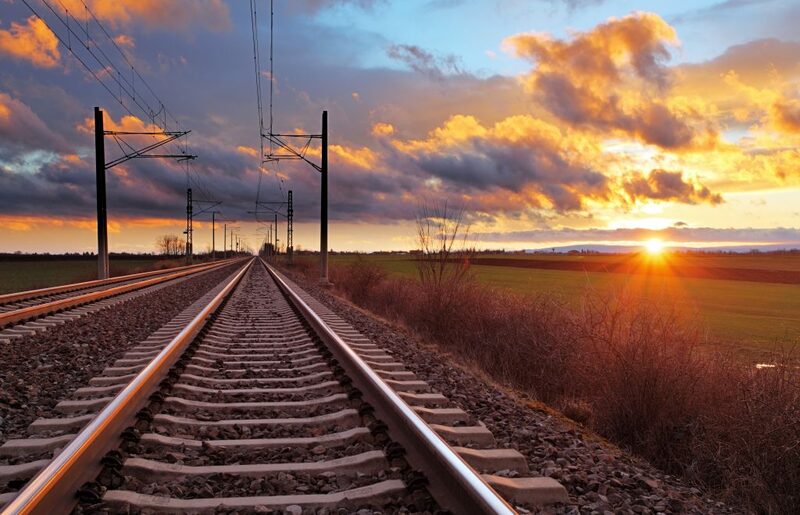 The challenge of building a safe and efficient high-speed rail route involves looking beyond just the new high-speed section, say rail specialists Edwin Marks and Mat Brough. As the new generation of high-speed rail starts to be designed and built, some routes will be run solely on dedicated high-speed rail track, but others will use a combination of high-speed and existing main line. For high-speed train drivers the transition from high-speed to main line can be an exaggerated version of what car drivers experience when they come off the motorway onto a winding country road. These transitions are among the key considerations where safety requires special attention. The first step towards a safer new railway is quantifying the change in velocity between high-speed rail and conventional main line to understand the need to focus on the transitions. As an example, Britain’s new HS2 trains will travel on dedicated track at speeds of up to 400km/h. Contrast that with the UK’s current ‘fast’ West Coast Main Line, parts of which were first built 180 years ago, with a top speed of around 200km/h. Phase one of HS2 between London and Birmingham will be using existing main line to take passengers further north. Compliance to standard has gone a long way to designing out risk on new high-speed infrastructure, but evidence suggests that interfaces between old and new networks are potential weak points, For example, high-speed trains behave unpredictably when moving between the two predominant track forms – ballasted and slab. Work is currently under way on the potential of a third trackform with good high speed rail applications – asphalt track. A midway option between ballasted and slab, and taking the best from both, asphalt is currently the subject of a study being undertaken for the Rail Safety and Standards Board by AECOM. The outcome includes an asphalt track design toolkit and transition design solutions to minimize issues at trackform interfaces. The first is lower speed curves. High-speed line is designed to be as straight as possible and any curves are ­angled to suit high velocity. For example, at Santiago de Compostela in Spain in 2013 the driver braked too late at the end of the high speed route, entering the following curve too fast and the entire train overturned against a retaining wall. Because the accident site was not considered part of the high speed route it was not fitted with the same level of train protection to govern speed. 79 died and 140 were injured. And the second – lineside structures not built to accommodate high speed traffic. At Eschede in Germany in 1998 on a historic route upgraded for high speed, a wheel defect derailed the front part of the train which then brought down a bridge resulting in the catastrophic pile-up of the rest of the train. 101 died and 100 were injured. maintenance at the transition between the track forms. Spain’s recent investment in high-speed networks provides exemplary solutions for reducing risk. In managing lower speed curves for example, AECOM’s centre of rail excellence in Madrid has designed alignments that keep similar speeds on adjacent parameters. In addition, signalling systems are designed to govern train speed thus significantly reducing the possibility of human error. Meanwhile, on the other operational interface issues, continuity in areas such as communications and compatibility between systems are key to safety. The Madrid centre’s work has included numerous safety enhancements. In signalling for example, an integration process has been developed for different signalling systems and providers at interfaces to reduce risk of communication being lost. In another project, tools were developed to manage the interface between different control centres. Usually control for the high-speed line is not the same as that for the conventional one and both can be managed by separate companies, so the procedure for alerting one another about the handover of trains has to be carefully managed. Reducing rail maintenance and increasing passenger safety, the innovative, mechanized Rail Trackbed Stiffness Tester (RTST) has been designed for use on rail networks worldwide. By gathering vital data quickly, safely and accurately, the award-winning machine provides engineers with important track structure performance information which can be used for design, construction validation or understanding of failure sites. Before the machine was developed, gathering track stiffness measurements was labour and time intensive. The machine is currently being programmed for use on several high speed railway infrastructure maintenance liability sites to assess causes of failure. Results can hopefully be used to guide future best practice in high speed track formation design.